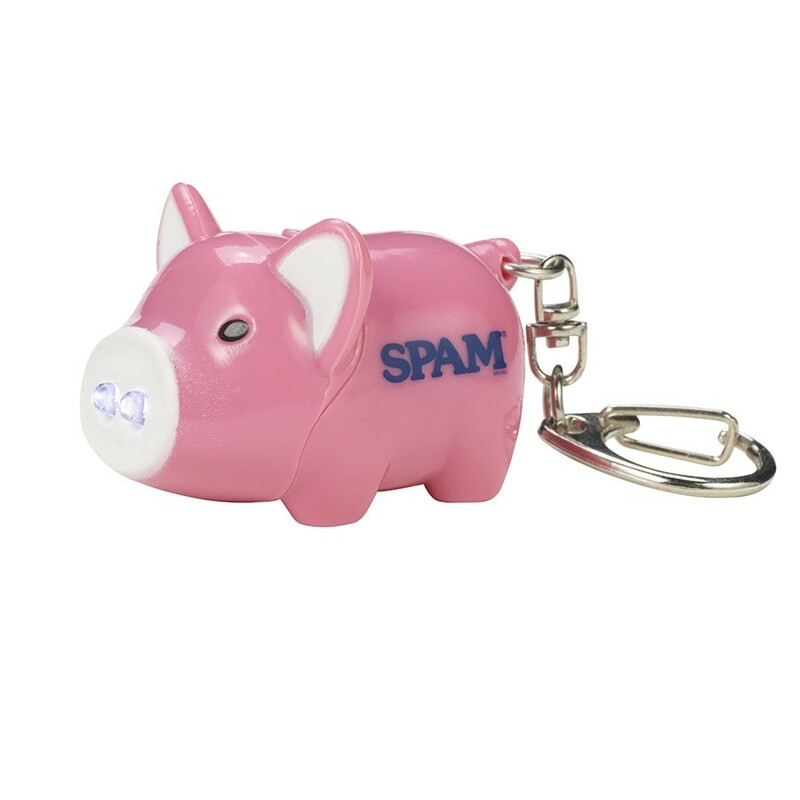 Piggy keychain with SPAM® Brand imprint. Press the button to hear an "oink" noise and two small lights will light-up. Measures 1-3/4" long.